An abundance of open shelves make room for electronics and decorative accents on this large TV stand. 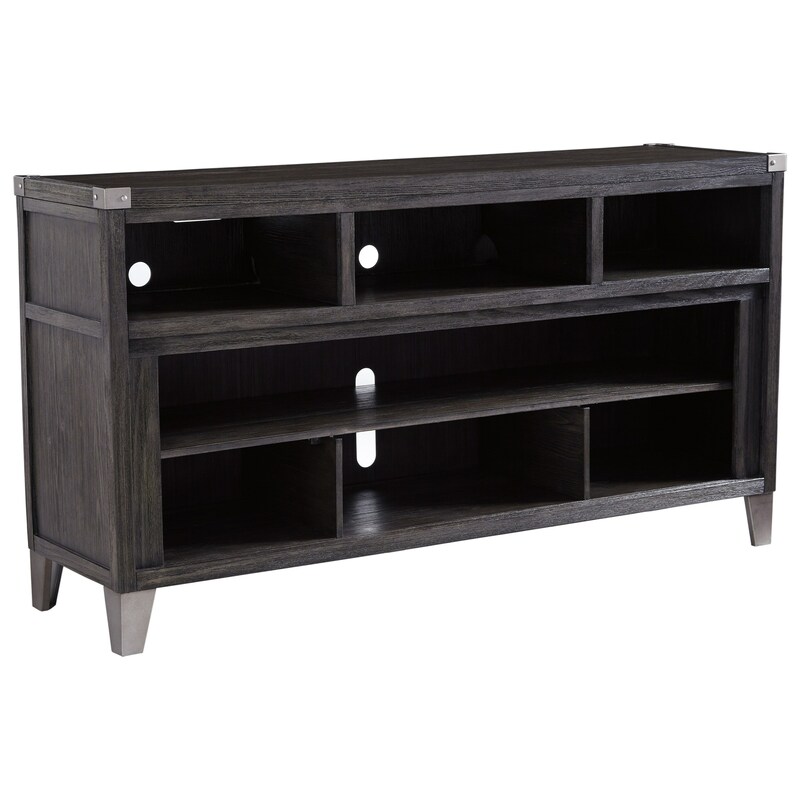 The dark gray wood finish complements the zinc-tone corner accents with rivets and metal feet. The TV stand accommodates TV up to 70 inches in size. The Todoe Contemporary Dark Gray Large TV Stand with Metal Accents by Signature Design by Ashley from Nashco Furniture - Nashville. We proudly serve the Nashville, Franklin, Brentwood, Clarksville, Green Hills, Davidson County, Williamson County, Tennessee area. Product availability may vary. Contact us for the most current availability on this product. Case Construction Made with Pine veneers, engineered wood, and wood solids. Browse other items in the Todoe collection from Nashco Furniture - Nashville in the Nashville, Franklin, Brentwood, Clarksville, Green Hills, Davidson County, Williamson County, Tennessee area.